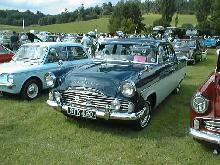 Despite continuing strong sales for the Mk I Consul/Zephyr/Zodiac Ford introduced a new Mk II version in 1956. 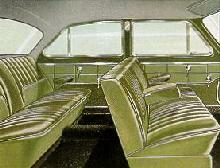 The Mk II cars were larger than before and so offered even more interior space than the Mk I. 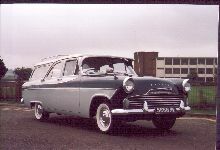 The Mk II body was all new and had transatlantic styling softened slightly to appeal to European tastes. 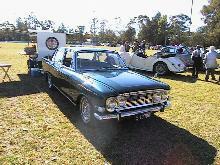 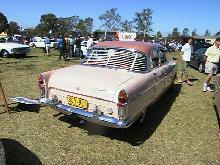 The Zodiac version once again topped the range and came packed with luxurious fittings and equipment. Most Zodiac's came with two-tone paint and white wall tyres, leather upholstery and a radio were standard equipment. 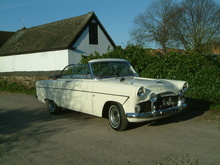 The Zodiac sold well throughout the lifetime of the Mk II range, production stopped in 1962 with the arrival of the Mk III. 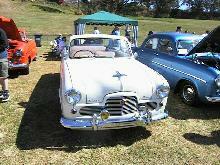 8' 11" 4' 5" 4' 4" 15' 0" 5' 9" 0 (24) 0' 0"